Pets for Assurance of a Fuller Life. New York: The Equitable Life Assurance Society of the United States, 1956. Fifth in the series Assurance of a Fuller Life. In 1956, The Equitable Life Assurance Society of the United States, purveyor of life insurance since 1859, published a series of booklets, the “Assurance of a Fuller Life” series. 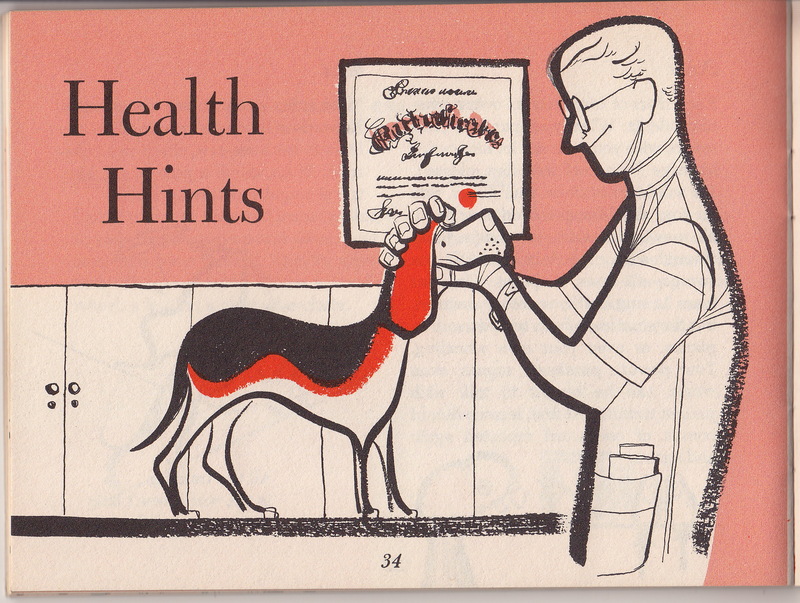 Produced by the Medical Department of the Company as a public health initiative, the series focused on vacationing, health and safety in the kitchen, and “making the most of personal health resources at work, rest and play.” Number Five in the series was this booklet, Pets for Assurance of a Fuller Life (hereafter PAFL). If you feel a dog or a cat would burden your family too much — ADMIT IT! You need not face a petless future. You can get pleasure when your canary sings as you enter the room, when your tropical fish swarm to the side of the tank, when your white mice do wild acrobatics just to amuse you. None of these pets scratch at the door and imperiously demand to be taken for a walk just when you’re deep in a mystery story or putting a souffle in the oven — and it’s raining outside. As I discuss in Pets in America, advice about pet keeping from the nineteenth and early twentieth centuries promoted the idea that children’s (especially boys’) moral development required the presence of pets, who stood in for the human dependents every pater familias could expect to support: elderly servants or family members, invalids, and wives and children, of course. Kindly stewardship to animals taught children the patience, restraint and sense of duty that would make them good family members and good citizens. These early books didn’t discuss having pets as an activity that parents and children could share; ideals of family life at the time viewed relationships between parents (particularly fathers) and children as being loving but hierarchical. PAFL reflects a couple of important changes in both “domestic culture” and the practice of pet keeping by the time it was written. While it promoted kindness (each pet was “a playmate, not a plaything”), the text’s perception of the ability of children to care for pets was grounded in new understandings of child development. Parents were advised to give each child “plenty of help” in caring for an animal. 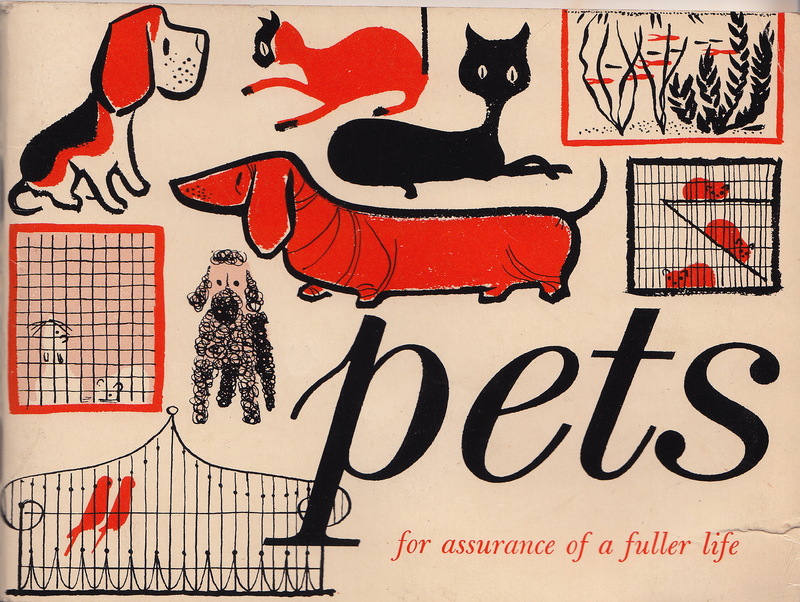 Pets for the Assurance of a Fuller Life is an artifact of the 1950s, in both its graph design and its contents. It reflects the increasing popularity of pet keeping as part of suburban family life and an avenue for family fun, and it reflects an era when more pet owners began to pay for professionalized services such as grooming and medical care.